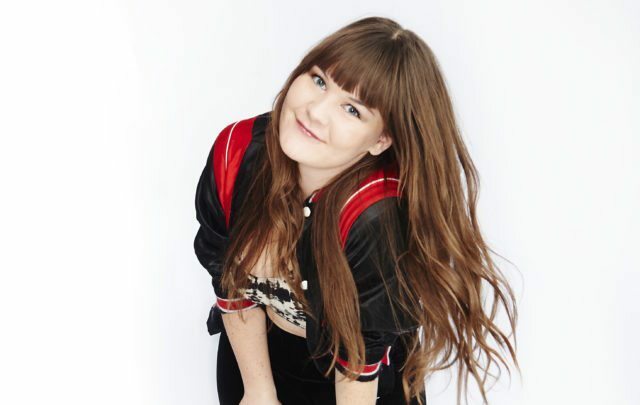 Sara Hennessey headlines two shows during JFL42 this year. Detail of a photo by David Leyes. A spate of TV and film celebrities descend on the city for this festival! No, not #TIFF17, but another jumble of letters: JFL42. The annual comedy festival brings heavy hitters like John Mulaney and Ali Wong to town as part of the “42” official acts, but there are also headlining sets featuring local talent like Sara Hennessey and Sandra Battaglini; unique events like a Feminist Live Read of Romy and Michelle’s High School Reunion; “in conversation” day events at Second City and the TIFF Bell Lightbox with guests like Jenny Slate and Brian Posehn; and the finale of the SiriusXM Top Comic competition, where a new comic will follow in the footsteps of last year’s winner, Toronto’s own Chris Robinson (who also has several shows at the festival). There are door tickets for some shows (not all), but by far the cheapest and convenient way to experience the festival is to get a pass, which starts at $75. As long as you book in advance and “check in” to the shows you attend, your “credits” will continually replenish. To September 30, various venues and times, $5-$299. The Bi Arts Festival is a pretty large umbrella that features art, crafting, film, comedy, and more under its slate of programming—art and activism by bisexual, pansexual, and fluid-identifying queers. Highlights include a pop-up market, a Wikipedia edit-a-thon at the Canadian Lesbian and Gay Archives, and Franny McCabe-Bennett’s one-woman show SMASHES—but don’t waffle on advance tickets on that last event, as her 9 p.m. show has already sold out as of press time. To September 24, various venues, FREE-$25. 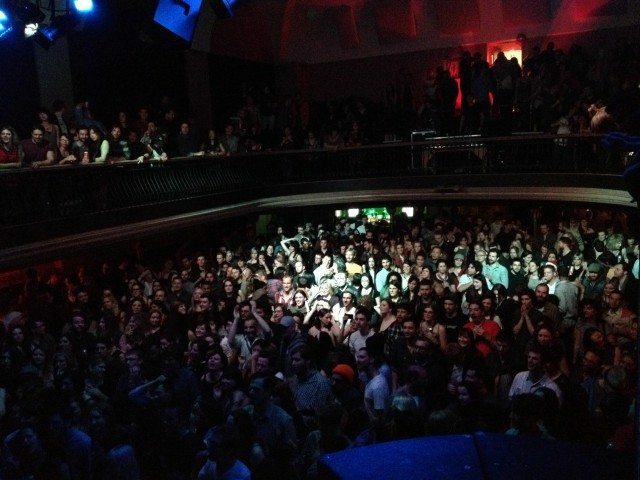 A Big Sound night at The Great Hall. Photo by Ian Lefevre. Technically, summer is over, but the balmy temperatures forecasted well into next week seem to belie fall’s arrival. So why not, as the event invite urges, “squeeze in one last [music] festival”? The Sundown Music Festival, produced in part by the Ryerson Students’ Union (though it’s open to students and non-students alike), kicks off after school gets out, at 4 p.m., and features big name acts like Miguel and Joey Bada$$. Parking Lot (20 Polson Street), 4-11 p.m., $25 in advance. And then say it’s 11 p.m., and you still want to dance? Well, hie thee to The Big Sound, where a 30-strong orchestra will take the stage at 11:30 p.m. (they promise!) and play classic Motown tunes for you to get down to. The Great Hall (1087 Queen Street West), doors at 9:30 p.m., $15. Image courtesy The Invictus Games/City of Toronto. A fundraising ride for Cycle Toronto’s advocacy work, the Ride For Safe Streets has two starting points today. For those who want to do 25 kilometres, a 10:15 a.m. departure from 192 Spadina Avenue; for those who’d prefer a more leisurely 10K, a noon departure from Greenwood Park in the east end, finishing up back at 192 Spadina, where a luncheon will be served. The ride is capped at 200 participants, so register soon. Various starting points & times, $75 (pre-registration required). 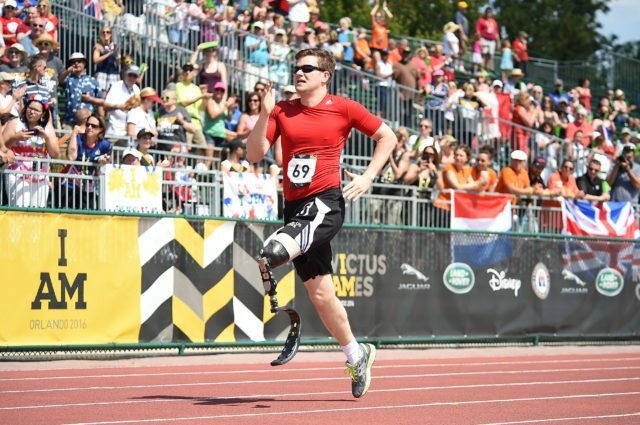 There’s been a lot of lead-up events to this month’s Invictus Games, featuring over 500 competitors in over a dozen adaptive sports competitions. Now that the games are finally here, what are you interested in? The opening ceremony will feature athletes from 17 different nations parading, plus musical performances from artists like Alessia Cara and Sarah McLachlan (the closing ceremony boasts Bruce Springsteen and Bryan Adams). The games themselves will feature archery, power lifting, athletics, and several types of team sports in wheelchairs. Some events, like the flag raising at Nathan Phillips Square on September 22, are free; others may be sold out (like the closing ceremony, because Springsteen). To September 30, various venues, FREE-$150. Dancer and choreographer Michael Caldwell, who’s won several Dora Awards for his work as a performer, has opened his full length choreographed work debut with Factory, at the Citadel. It’s also the first premiere for Citadel + Compagnie, the new name for the company formerly known as Coleman Lemieux & Compagnie, since Bill Coleman departed after 17 years with said company. Factory also boasts new music by Gemini-winner Phil Strong, and performances by five veteran members of the rebranded company. To September 23, The Citadel Ross Centre for Dance (344 Parliament Street), Thursday-Saturday, 8 p.m., $20-$25. 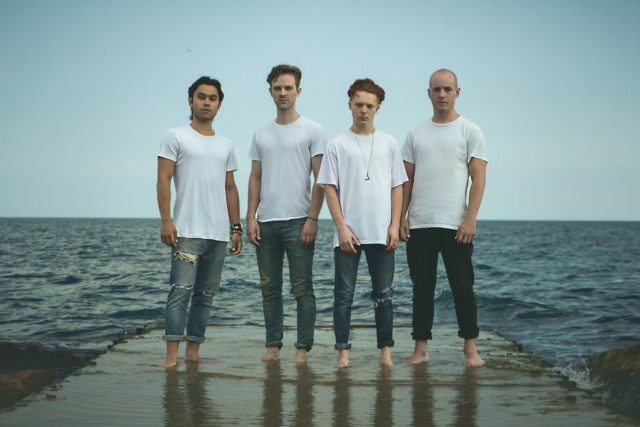 Birds of Bellwoods play the Mod Club Theatre tonight. Photo by Nicholas Posthumus. Local boys Birds of Bellwoods are just a few short weeks away from their official LP debut, Victoria. It’ll drop as the band is on tour, and they’re playing their hometown first, just a few blocks north of the park that bears their name. Midnight Vesta opens, and the show will wrap up by 11 p.m., so get there early. Mod Club Theatre (722 College Street), doors at 7 p.m., $16 in advance. Over in the east end, it’s another edition of Feast in The East, with headliner Petra Glynt, plus Zacht Automaat, Fet.Nat, and Joanne Pollock. As always, the show includes a free (late) dinner; this edition boasts gourmet grilled cheeses by Brendan Lehman and Josiah Tsang. Matt Durant Studio 1401 Queen Street East), 9 p.m., $10 in advance. Not all of the comedy between now and October is JFL42-related. That festival features primarily stand-ups, so sketch and improv acts are continuing as per usual. Tonight’s Comedy Rumble features some of the Toronto’s best improvisers—folks like Jan Caruana, Kris Siddiqi, and Rob Baker—competing for bragging rights and…well, we’re not sure what else, besides audience approval. The Social Capital Theatre (154 Danforth Avenue, 2nd floor), 8 p.m., $10. Savoy Howe in Newsgirl. Photo by Dahlia Katz. It bills itself as Canada’s largest literary festival, and it all happens in the space of a day. The Word On The Street Toronto Book & Magazine Festival features over 200 different authors reading (or in some cases, as with musician Ron Sexsmith or oddball humourist Jonny Sun, performing) from their work. There are special stages for Francophone and Indigenous authors, though they’re woven throughout the main programming, and there’s also the Marketplace—the world’s largest outdoor bookstore (come with an empty bag). Harbourfront Centre (235 Queens Quay West), 11 a.m.- 6 p.m., FREE. Another event that’s taking advantage of our unseasonably warm weather, the Sterling Road Block Party, is being hosted by the Drake Commissary and features pop-up yoga classes by several local studios, local food and brews from Kawrtha Mark and Henderson Brewing Co., and (of course) a bouncy castle. 128 Sterling Road, 11 a.m.-5 p.m., FREE. Savoy Howe, founder of the Toronto Newsgirls Boxing Club, first turned the story of her endeavour into a show for the Soulo Festival in May. It was so popular that she’s remounting Newsgirl for four shows this weekend. 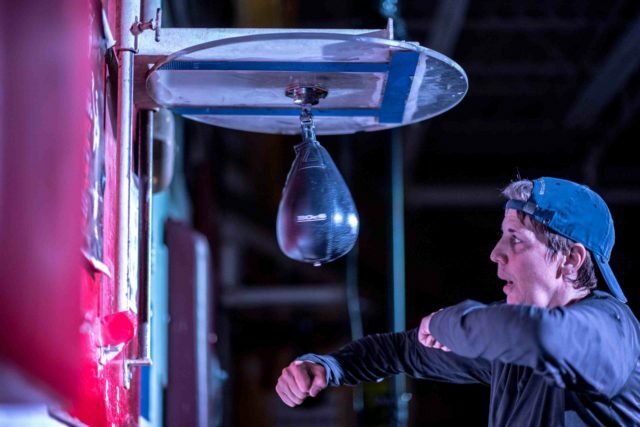 There’s a LOT of theatre that’s opening this week and next (Torontoist will publish review round-ups in the next two weeks), but this is definitely the only one being performed in a real boxing ring. To September 24, Toronto Newsgirls Boxing Club (388 Carlaw Avenue, #108), Thursday-Saturday 8 p.m., Sunday 7 p.m., $25. The second public meeting about the downtown rail corridor (and more specifically, the nascent plans to turn the space above it into a Rail Deck Park) takes place tonight in Council Chambers. The open house begins at 6 p.m.; at 6:30 p.m., there’ll be a short presentation, followed by a Q-and-A with City staff. City Hall (100 Queen Street West), 6 p.m., FREE. 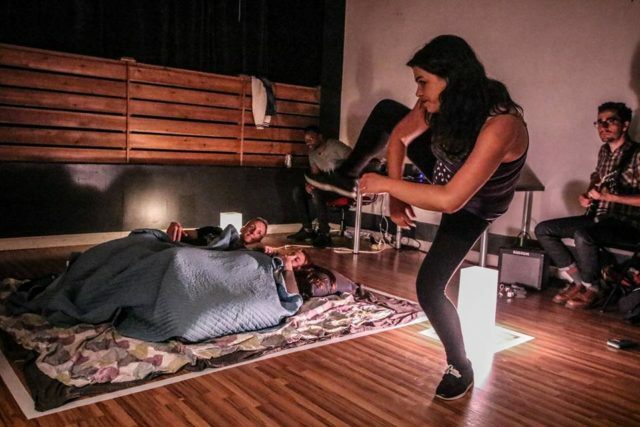 Nightwood Theatre, Toronto (and Canada’s) premiere professional feminist theatre company, has its annual Groundswell Festival all this week. The fest kicks off with a season launch party at 6 p.m. tonight, and follows with readings of new work from Nightwood-affiliated playwrights like Chloé Hung, Michelle Langille, and Gitanjali Lena, every night (more matinées, next weekend). To October 1st, Ernest Balmer Studio (9 Trinity Street, Studio 315), various times, FREE. L.A.-based pop artist Allie X has roots here in Toronto, and she’s playing a special and intimate show here tonight after a long tour of North America and Europe. A number of contest winners already have guaranteed entry, but the RSVP list is now open, with the caveat that it’s first come, first serve, until the historic church enveloped by the Eaton Centre has hit capacity. Church of the Holy Trinity (19 Trinity Square), 7 p.m., FREE (RSVP required, first come, first served, to capacity). Actor-improviser Kat Letwin (foreground) sneaks into a bedroom scene in the August 2017 edition of Soda Underground. Photo by Nicolas Melo. We attended last month’s Soda Underground show, and were pleasantly surprised; rather than just being another improv comedy show, the cast took pains to construct a dramatic framework for their stories, and the show itself incorporated original music and poetry. This month, composer Matt Reid is playing; Pheobe Yang is reciting some of her writing; and the cast includes Mikaela Dyke, Reid Janisse, host Oliver Georgiou, and more. Ai Weiwei receives the Adrienne Clarkson Prize for Global Citizenship tonight. Self-portrait by the artist. From Monday to Wednesday, pre-eminent thinkers on global affairs (including Margaret Atwood, Michael Sandel, and Kiku Adatto) are participating in the 6 Degrees Citizen Space, a symposium on citizenship and inclusion. 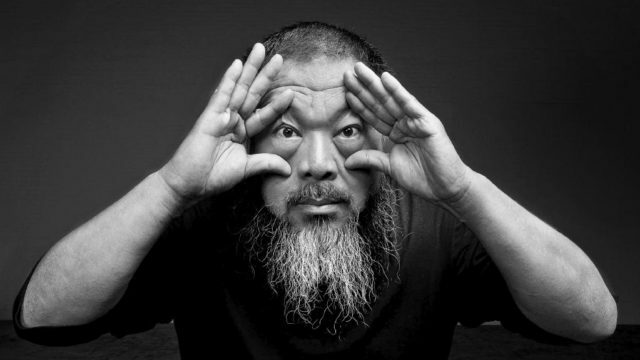 The three-day event culminates tonight with the Adrienne Clarkson Prize for Global Citizenship gala, where Chinese artist and activist Ai Weiwei will be accepting the prize and giving a keynote speech. There are cheap student prices for many of the big ticket events; some of the events, which are being held at institutions like the AGO and U of T’s Isabel Bader Theatre, are even free. September 25-27, Koerner Hall (273 Bloor Street West), various times, FREE-$175. A famed filmmaker is the star attraction, along with his movie creations, of the AGO’s new exhibition, Guillermo del Toro: At Home With The Monsters. To launch the exhibit and its del Toro-focused programming today, he’s participating in a book signing. Starting at 9 a.m. a line will form at the AGO, and any item brought before the filmmaker accompanied with an AGO shop receipt will be signed (they have several books, as well as DVD copies of his film, now available in the gift shop). Art Gallery of Ontario (317 Dundas Street West), 4 p.m.-9 p.m., FREE (w/ purchase from AGO gift shop, 9 a.m. onwards).